These six words pulled my attention away from the torment of my 9am Monday morning lecture. It didn’t take me all that long to realise that the girls behind me where in fact talking about some newly crazed quick-fix diet…yes, another one. Whilst the idea of eating something I have used to soothe sunburn many a times was at first rather off-putting, a quick search on Google and I realised Aloe Vera is something that is widely consumed for its health benefit… who knew? Perhaps it wasn’t a totally maddening diet as I had first assumed. The Clean 9 programme advertises itself as a nine-day Aloe Vera based cleansing programme, enabling people to ‘naturally and safely lose weight’. The first two days of this programme consist of eating 120ml of the Aloe Vera gel and to do twenty minutes of some kind of physical exercise. And that is it. 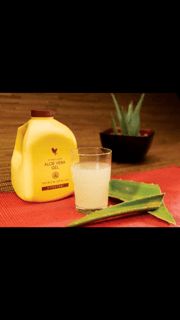 Moving swiftly on to the remaining seven days of the diet, if you haven’t already keeled over from starvation, you’ll be able to eat 120ml of Aloe Vera Gel along with a meal replacement shake (mixed in with skimmed milk) not only for breakfast, but lunch and dinner. Phew, and I thought it would only be the gel. Hold on though, what if you were to experience some late evening munchies? Not a bother, you can treat yourself to 240ml of water. Yay. And just how much will it cost for you to look like you’ve stepped straight off the cover of a magazine? Hand over £115 and visible hipbones shall be granted. Well isn’t that just the icing on top of the cake that you’re not allowed to eat. Caitlin Roberston, a Fierce Pro dancer, chose to start the Clean 9 diet to shed a few inches from her stomach. At the end of the nine days Caitlin noted a weight loss of just less than 10 lbs. However, once the detox had finished Caitlin simply put all the weight she had lost back on again. Whilst the positive health effects of Aloe Vera gel are indisputable, the idea of eating solely that and then being encouraged to exercise… my body feels weak at the mere thought. I would like to say that I’ve heard it all now, but something tells me that’s doubtful. From celebrity crazed baby-food diets to the 5:2 diet (consisting of five days ‘normal’ eating and then two fasting), it seems there is little that people aren’t willing to try to get the perfect body. A quick-fix diet will give you short lived results, unless, of course, you’re willing to continue significantly restricting your calorie intake until the end of time. If you really want to shed those extra Christmas pounds still lurking around the hips, I have four simple words for you- exercise and balanced diet. Yes, balanced- that means sugar too. Cutting out every one of life’s little pleasures, like that gloriously marshmallow filled Tunnocks teacake to go with your cuppa, well it just isn’t feasible. It’s like someone saying don’t press the red button…you know you want to… a little bit more… and you’ve pressed it, chocolate fingers and all. Scottish government statistics demonstrate that in 2013 only 21% of the male Scottish population aged 16-24 were consuming their recommended five a day, and only 17% of women. It’s clear that the importance of healthy eating is a message that has gone lost amongst the pages of the magazines promising us a size eight body in just seven days. If weight loss were easy then everyone would be walking around with the bodies of Jennifer Aniston and Bradley Cooper. The answer to all this is persistence. Extreme changes to your lifestyle and diet will not produce lasting results, gradual changes will. I realise we now live in a society where instant gratification is demanded and the thought of actually having to work for the body we want seems maddening to some, surely this pill will do the job? I hate to disappoint but the answer to the desired beach body many of us so desperately crave that we are willing to starve ourselves to achieve: it’s simply that hard work pays off. Working is what’s going to lose you those pounds and keep them lost, so let’s please jump off the roller-coaster diet of starvation, binging and purging and treat our bodies the way the Good Lord told us we should- a temple and nothing but that. Posted in Features and tagged diet, eat well, gel. Bookmark the permalink.